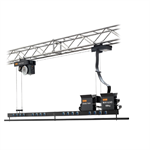 IFF is a reference brand in the lighting and rigging industry, internationally recognized for the extensive experience and expertise in providing high quality and reliable lighting suspension equipment and related services. All rigging products – from the basic configuration to the most advanced and customized solutions and products - ensure simple and safe operation at all times in television and film production studios, auditoria, conference and presentation halls, schools and churches . The range of services IFF provides, directly and through its distribution network, covers all aspects of design, budgeting, installation, operation and maintenance. 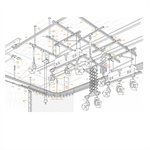 With over 50 years of technical experience in combining state-of-the-art technology, design and high-quality components with accurate assembly and testing of each product, IFF offers suspension equipment built to meet the highest quality and safety standards as well as the toughest requirements for installation and positioning of lighting equipment. 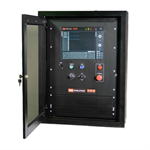 Only top-quality materials, full in-house production and accurate assembly and testing of each product to meet the highest quality and safety standards. 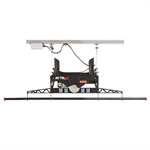 Highly customizable and versatile suspension products to ensure simple and safe operation, quick and easy change of lighting sets and a significant reduction of service and maintenance time. IFF and its distribution network assist their customers in all aspects of design, budgeting, installation, operation and maintenance. Their engineering and service department accompany professionals at every stage of their projects, from preliminary on-site consultation to detailed studio suspension layouts. Experienced and high-skilled people carry out the whole production process from design, through assembly, testing, and packing. Dedicated people who have contributed to IFF success are still part of it today. All IFF products are realized in full compliance with international labour standards and in accordance with the most severe safety regulations. 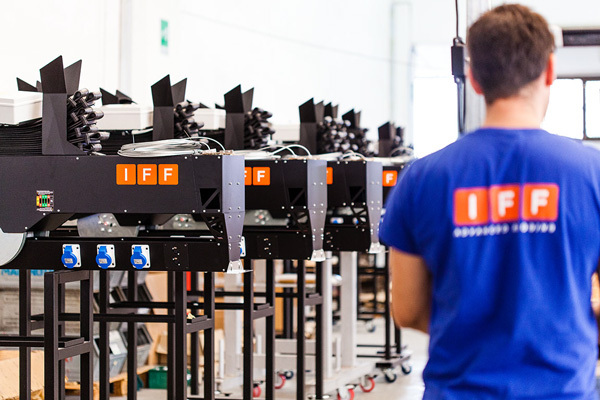 Founded in Italy in 1940, IFF is the world leader in suspension systems for the installation and positioning of lighting equipment. All suspension products – from the basic configuration to the most advanced and customized solutions and products - ensure simple and safe operation at all times in television and film production studios, auditoria, conference and presentation halls, schools and churches. Cosmolight acquired IFF in 2012. Cosmolight was originally founded in 1974 as a sole-proprietor film lighting business in Rome for the Italian market and it has grown over the last 40 years. The year 2012 represents a turning point in Cosmolight's constant development path thanks to the acquisition of QUARTZCOLOR and IFF, the world-renowned brands for professional lighting fixtures and lighting suspensions. Today, Cosmolight is an international company whose operations span the globe offering combined lighting and customized suspension systems for TV studios, video productions, stage and architectural applications worldwide. Flight Lieutenant Attilio Reggiano, enlisted in the Italian Air Force, designs a microfilm system for high-speed transmission of documents to Italian troops in Russia. Once the war ended, full-scale manufacturing begins and the newborn company offers studio lighting suspension products. IFF outgrows its premises and moves to new headquarters and production facilities in 1957. In 1961, Giuliano Fusi joins the company as a Managing Director. At this time, the company designs and manufactures microfilm image reproducers for renowned companies and the Italian Air Force. In the late 60s, IFF develops Auregon, the first professional automatic focus enlarger for 35mm format and makes it available for everyone at an affordable price. IFF begins to market its own products, Giuliano Fusi with his unmatched knowledge of both products and processes has the responsibility to carry out this further development. 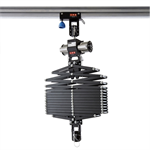 In 1986, IFF attends Photokina exhibition showcasing its studio lighting suspension equipment. Later the acquisition by Lino Manfrotto + co. Spa gives a boost to IFF. 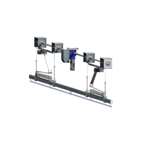 The suspension range of products is extended and the business expands all over the world. In 2012, IFF is acquired by COSMOLIGHT company. 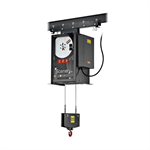 New suspension products are developed, such as the ACTA30 self-climbing hoist and the TSM Evolution, a new digital suspension control system.